Getting and staying organized isn't about how many storage containers or bins you have in your home. The last thing we need is more stuff to hold our stuff. Instead, I want to help you think of organization as nothing more than a system, something that can be replicated over and over again to give you ease in your life. So, how do YOU feel about getting organized? Join 1800+ other moms around the world that are transforming themselves from reluctant homemaker to household CEO. 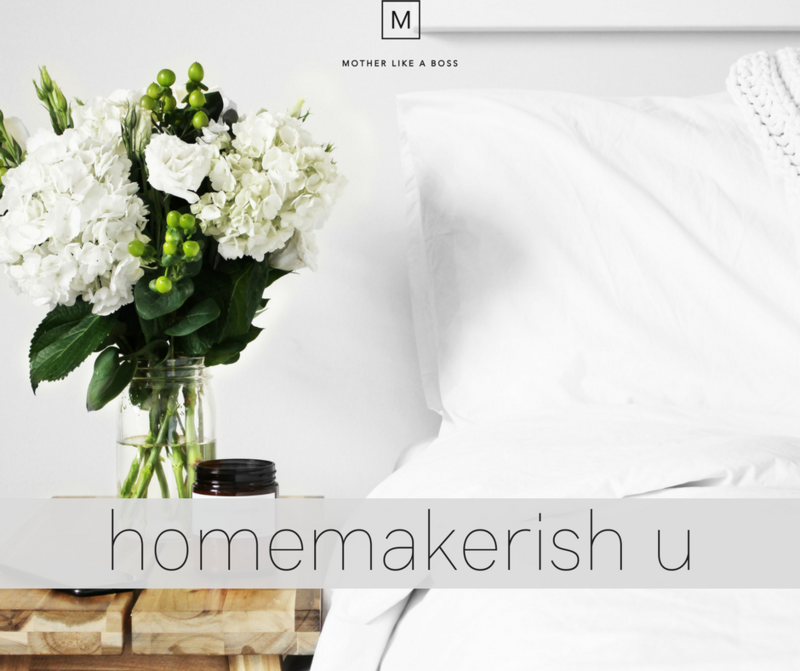 Get all the deets on the globally recognized online course Homemakerish U here. Keep your house clean in about 30 minutes a day. Say what?! Join the on-demand Just Clean It workshop here.